Asian small-clawed otter (Aonyx cinerea) : Vunerable. Throughout Asia the potential threat to its continued survival is destruction of its habitats due to changing land use pattern in the form of developmental activities. 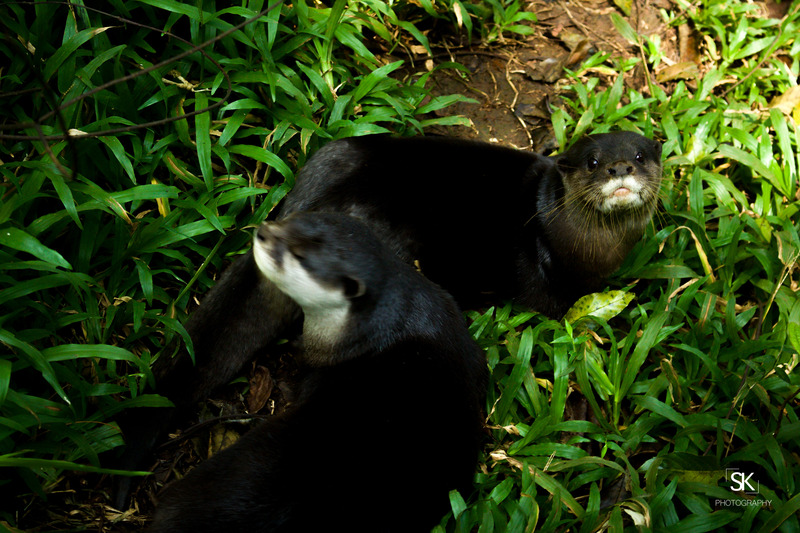 Another important threat to Asian Small-clawed Otter is reduction in prey biomass due to over-exploitation, which make its remaining habitats unsustainable. Pollution is probably the single most important factor causing decline in the population of many fish species. (IUCN Red List).